Boulder Startup Week wouldn’t be complete without our continued support from Techstars. 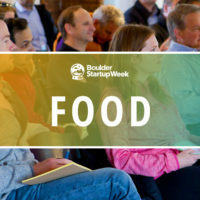 Techstars has been a pillar of the Boulder tech community now for 13 years and has been an integral partner, host and Title Sponsor for Boulder Startup Week since its inception. Creating the worldwide network to help entrepreneurs succeed, Techstars now has worldwide reach with over 5,000 mentors and investors; 1,200 alumni companies and 200 staff members. David Brown, Founder and co-CEO of Techstars, says “Startup Weeks are an amazing way to get connected into the local community and meet awesome entrepreneurs. Techstars is honored to participate”. 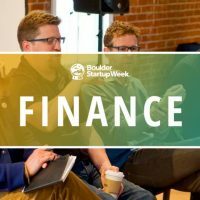 Many of the companies speaking at BSW are alumni of Techstars accelerators, mentors for Techstars and investors. Additionally, you’ll find Techstars team members like Nicole Glaros and Hannah Davis participating in sessions on entrepreneurship and funding. Be on the lookout during BSW for members of the Techstars 2018 class! 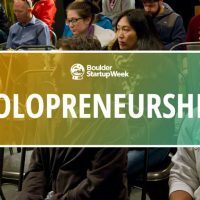 Thank you for your continued support of Boulder Startup Week!